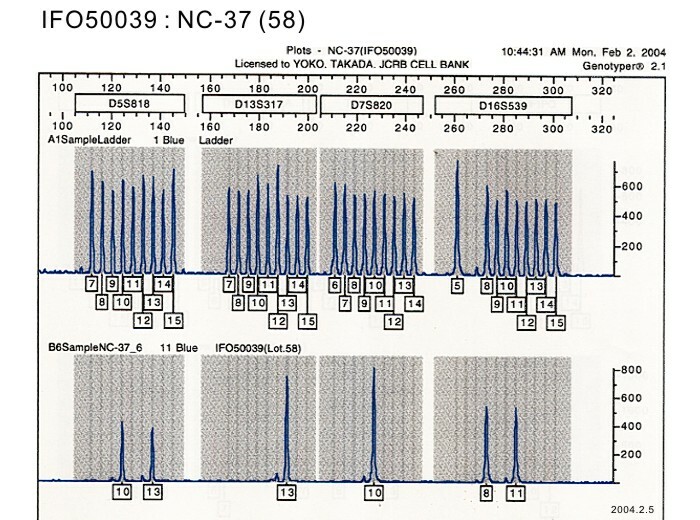 IFO50039 NC-37 is derivative from Raji. 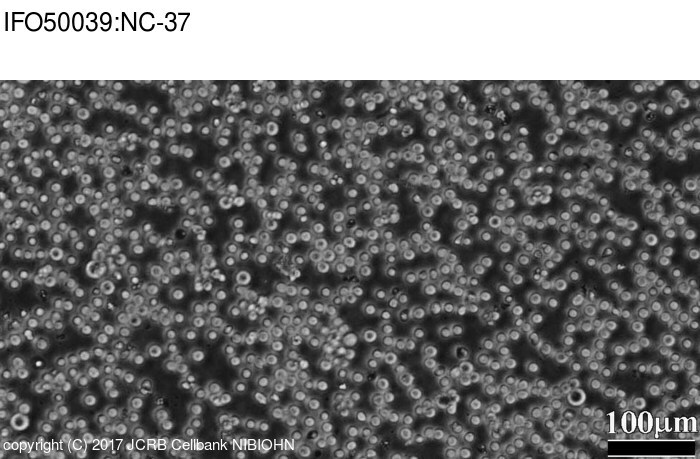 NC-37 was established as a human lymphoblast cell line, however, ATCC cell bank in US revealed NC-37 is derivative from another cell line, Raji (Burkitt lymphoma cell line). 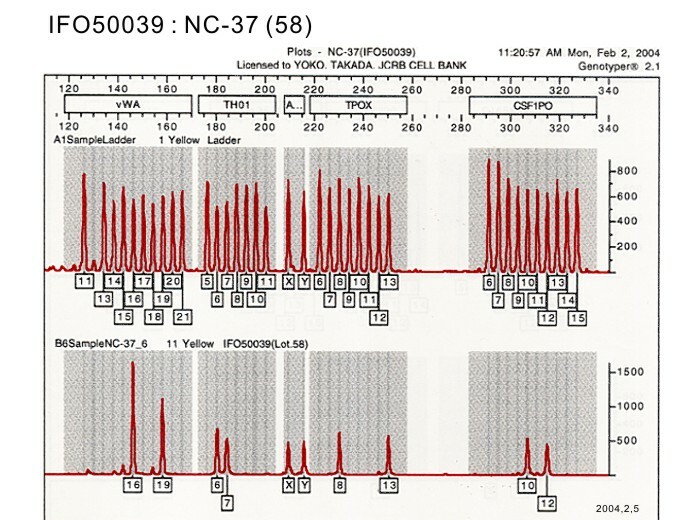 NC-37 has been used for many studies, and therefore JCRB does not stop the distribution of this cell line, but it should be used with understanding on this matter. lymphoblast, Contamination of Raji cells has been suspected. Durr, F. E. et al. Contamination of Raji cells has been suspected in this line. This cell line contains EB virus genom. Studies on the infectivity and cytopathology of Epstein-Barr virus in human lymphoblastoid cells.